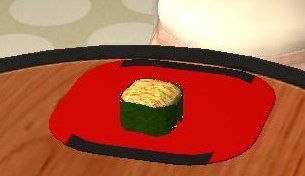 I have a new meal of Sushi for your sims to enjoy. I wanted originally to make something from turbosquid, but most of what they had there was way too high poly to be enjoyed in The Sims 2. Some of it was so high poly I couldn't even open it in Milkshape. So I decided to make my own this time. 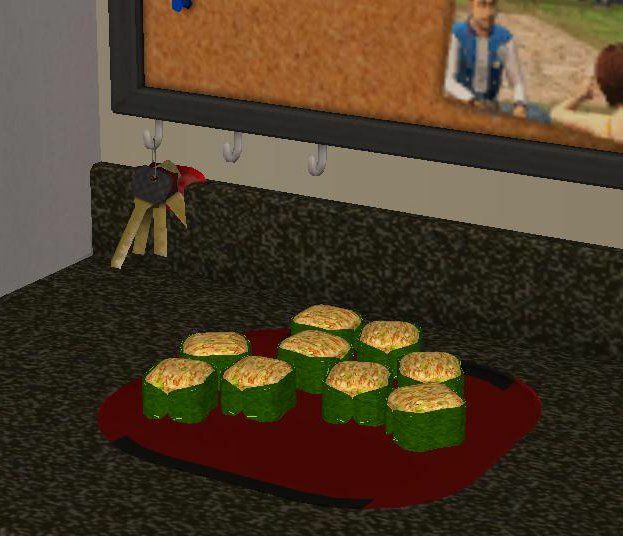 The food is found in your sim's fridge under have a meal.../Sushi or serve a meal.../Sushi. There are new custom plates which are not default replacements. You need the custom plates both serving and dining plate in your downloads folder for the food to work. The other is a custom utensil which is a default replacement to the fork. I had to make this a default replacement, and not a new custom utensil because as far as I know new utensils are impossible, unfortunately. So, if you want your sims to always eat what they would usually eat with a fork as chopsticks instead of a fork, you should keep the chopsticks in your downloads folder. 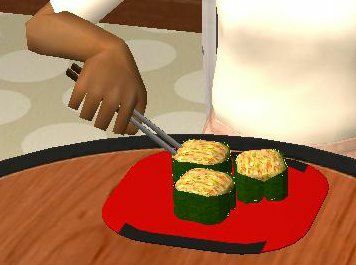 If you like your sims to eat with forks, you can just take out the chopsticks whenever you don't feel like feeding your sims Sushi. The chopsticks are not required for the food to show up properly. Enjoy! The Sims 2 - Happy Halloween/Thanksgiving!